Most people with depression do not seek treatment, although the majority can be helped with treatment. If you’re experiencing symptoms of depression (such as difficulty concentrating, persistent feelings of sadness, decreased energy) consult a DTR therapist as soon as possible for an initial consultation and assessment. A number of preliminary studies suggest that certain remedies may offer health benefits. If you’re considering the use of any supplement or remedy, talk to your doctor first. Keep in mind that self-treating depression and avoiding or delaying standard care can have serious health consequences. The herb St. John’s wort (Hypericum perforatum) has long been used in folk medicine for sadness, worry, nervousness, and poor sleep. 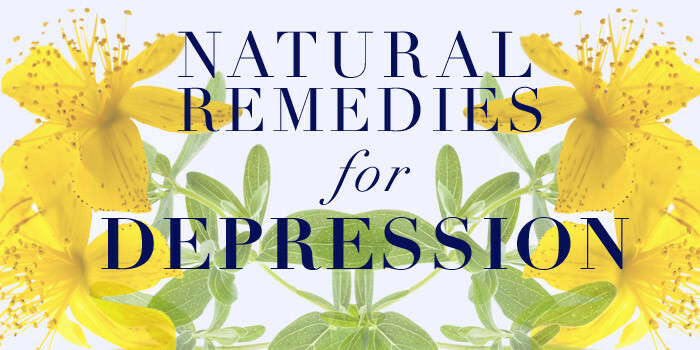 Numerous clinical trials suggest that St. John’s wort may be effective mild to moderate depression, however, it may not be effective for major depression. St. John’s wort may take 4 to 6 weeks to notice the full effect. Side effects may include dizziness, dry mouth, indigestion, and fatigue. St. John’s wort increases photo sensitivity, so caution should be taken to protect skin and eyes from sunlight. St. John’s wort can interfere with the effectiveness of prescription and over-the-counter drugs, such as antidepressants, drugs to treat HIV infections and AIDS, drugs to prevent organ rejection for transplant patients, and oral contraceptives. St. John’s wort is not recommended for pregnant or nursing women, children, or people with bipolar disorder, liver or kidney disease. Omega-3 fatty acids are a type of fat needed for normal brain function. Our bodies cannot make omega-3 fatty acids so they must be obtained through diet. Studies have linked depression with low dietary intake of omega-3 fatty acids and have also found that countries with higher fish consumption, such as Japan, have a lower rate of depression. Preliminary studies suggest that omega-3’s (DHA and EPA) together with antidepressants may be more effective than antidepressants alone. Cold water fish such as salmon, sardines, and anchovies are the richest food source of omega-3 fatty acids. Fish oil and cod liver oil are also available. Although fish may contain pollutants such as PCBs, many companies filter the oil so that these chemicals are removed. Fish oil capsules may interact with blood-thinners such as warfarin and aspirin. Side effects may include indigestion and bleeding. Fish oil should not be taken two weeks before or after surgery. SAM-e, or S-adenosyl-L-methionine, is a compound found naturally in the human body that may increase levels of neurotransmitters serotonin and dopamine. Several studies have found SAM-e to be more effective than placebo for depression. In North America, SAM-e is available in supplement form in health food stores, drug stores, and online. Proponents typically recommend the enteric-coated form for maximum absorption. Folate, is a B vitamin found in green leafy vegetables, fruit, beans, and fortified grains. It is one of the more prevalent vitamin deficiencies due to poor diet and also because of medication use (such as aspirin and oral contraceptives). Preliminary research suggests that people with depression who also have low folate levels may not respond as well to antidepressants, and taking folic acid in supplement form may improve the effectiveness of antidepressants. 5-HTP, or 5-hydroxytryptophan, is produced naturally in the body and is used in the formation of the neurotransmitter serotonin. Although taking 5-HTP in supplement form may theoretically boost the body’s serotonin levels, many experts feel there is not enough evidence to determine the safety of 5-HTP. It should not be combined with antidepressants. Caffeine and alcohol both dampen mood. Alcohol temporarily relaxes us and caffeine boosts energy, but the effects of both are short-lived. Both can worsen mood swings, anxiety, depression, and insomnia. Vitamin B6 is needed to produce the neurotransmitters serotonin and dopamine. Although deficiency of vitamin B6 is rare, people taking oral contraceptives, hormone replacement therapy, and drugs for tuberculosis may be at greater risk for a deficiency. Most people do not get enough magnesium in their diets. Good sources of magnesium include legumes, nuts, whole grains and green vegetables. Like vitamin B6, magnesium is needed for serotonin production. Choose something you enjoy and will stick with, whether it’s going to the gym, signing up for dance classes, playing tennis, gardening, or taking a brisk walk outside each morning for at least 30 minutes five days a week. Getting enough sunlight may be effective for seasonal mood changes that occur in the darker winter months. Exposure to light in the morning (e.g. by taking a walk outside) may help the body’s sleep/wake cycle function properly. Production of serotonin, a brain chemical that’s key in influencing our mood, is turned on in the morning upon exposure to light. During the winter when there is less sunlight, serotonin levels can drop, making us feel tired and prone to seasonal affective disorder (SAD).